Providing you the best range of metal compression spring, tension spring, conical compression spring, precise compression spring, mechanical spring and switch metal spring with effective & timely delivery. The finest range of MetalCompression Spring, made available by us in the market, is widely praised for its superior sturdiness, durability and resistance to corrosion. The range’s manufacturing is done as per the set industry norms and guidelines, utilizing the finest raw materials and modern machines. This ensures the product’s standard of quality. 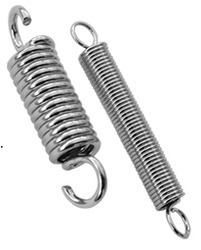 Being one of the leading manufacturers and suppliers of this impeccable range of Tension Spring, we never compromise with its standard of quality. Thus we engage in the utilization of high grade raw materials and modern machines, in compliance with the set industry norms and guidelines. this ensures the product’s sturdiness, durability and resistance to corrosion. We provide premium quality of Conical Compression Spring, which are manufactured from quality raw material to ensure durability and reliability. Our range is tailor made as per the client specifications and the size also depends as per the machines where it is used. Feel free to contact us. We supply comprehensive range of Precise Compression Spring that includes springs in r-type, u-type and many more. 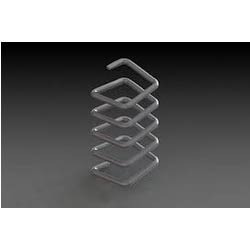 Our wide gamut of wire form springs is available in various sizes and based on the machine size where it is applied. Our wire form springs are also available as per client specifications. 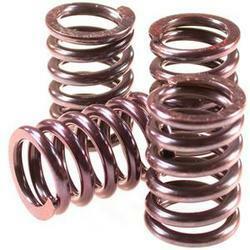 Mechanical Spring are specially designed to offer resistance to compressive forces in diverse applications. 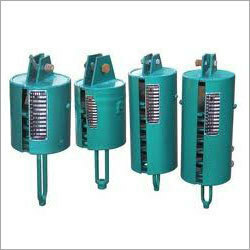 We provide customers with compression springs in different size and dimensions. We are offering Switch Metal Spring with coil on outside. 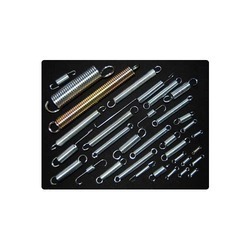 Our range of torsion springs can be attached as per the requirement in the application areas which includes leg ankle, equal leg length and leg end style. In order to provide maximum satisfaction to our clients, we engage in the utilization of high grade raw materials and modern machines, in compliance with the set industry norms and guidelines, for manufacturing this Extension Spring. This ensures the product’s quality, durability and resistance to corrosion. In addition to this, the offered range is marked at the most reasonable rate possible. 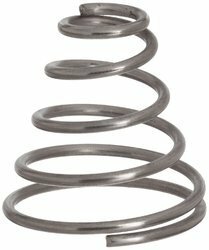 Our range of Load Spring are best suited to heavy duty or high cycle applications. Unlike standard extension springs of similar dimension, the hooks on these springs can be designed for optimum life cycle requirements and can also rotate to suit alignment conditions. 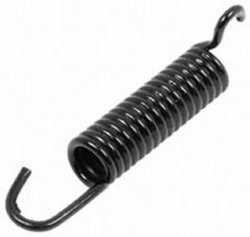 These Hook Spring can be customized as per client requirement. We are engaged in providing Brake Shoe Spring. 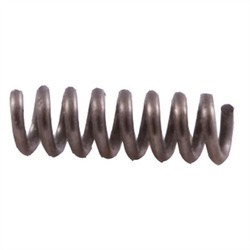 Made from superior grade metals, these springs are generally coiled at a constant diameter that provides perfect resistance to a compressive force. 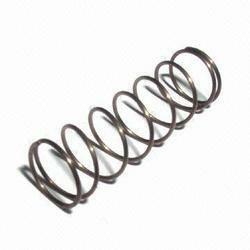 We manufacture and supply Square Spring, are durable in quality and can withstand forces such as twist or rotation. Torsion springs are further able to endure lateral and angular forces. 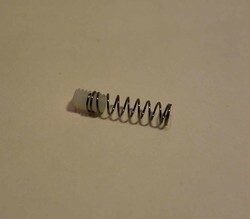 Looking for Metal Spring ?